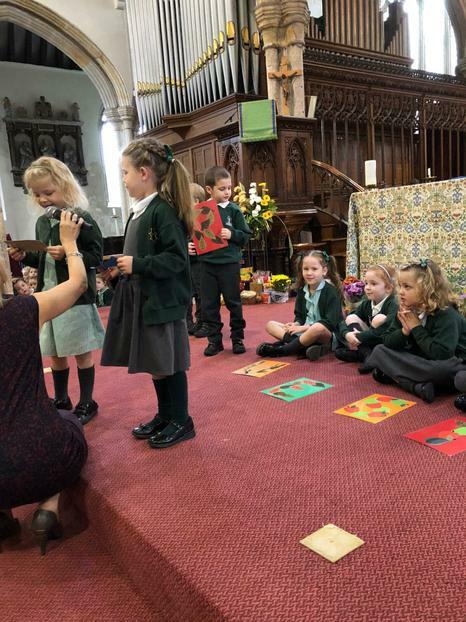 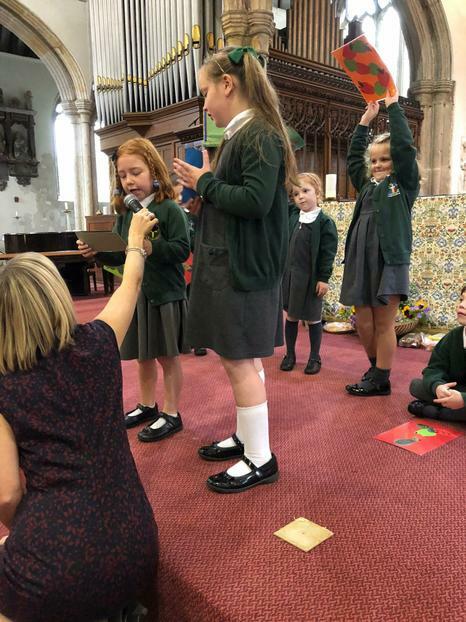 We had a wonderful morning celebrating the Harvest on Monday 8th October. 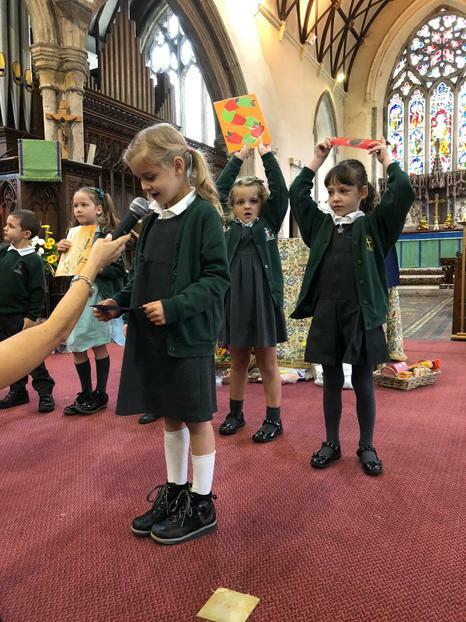 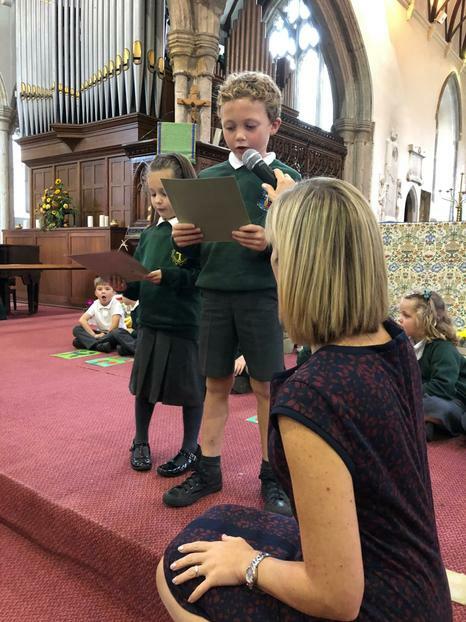 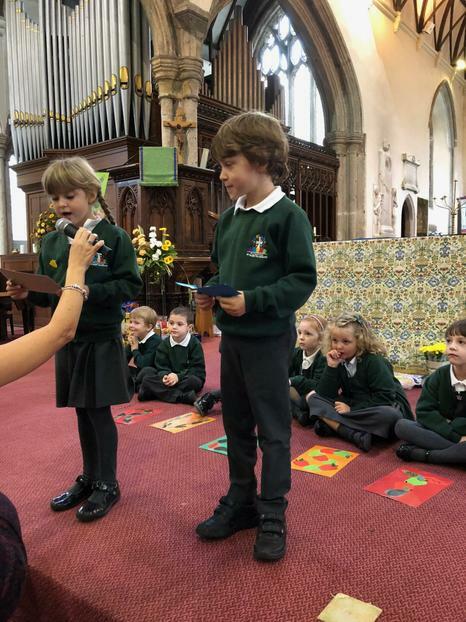 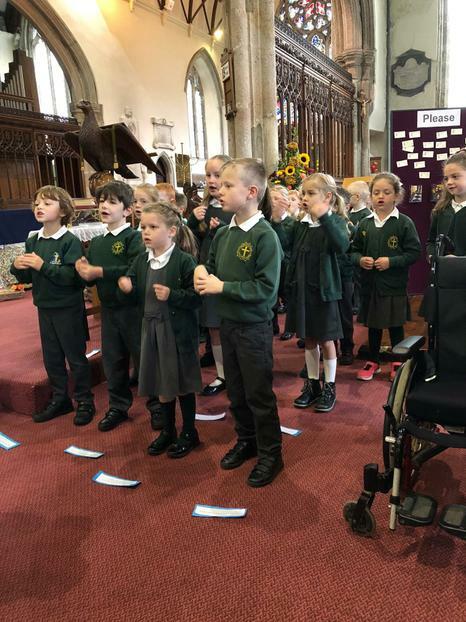 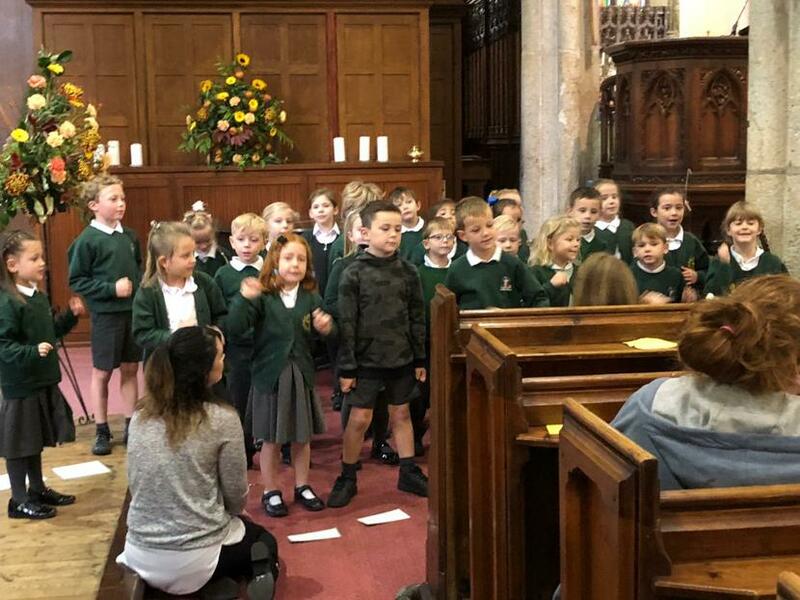 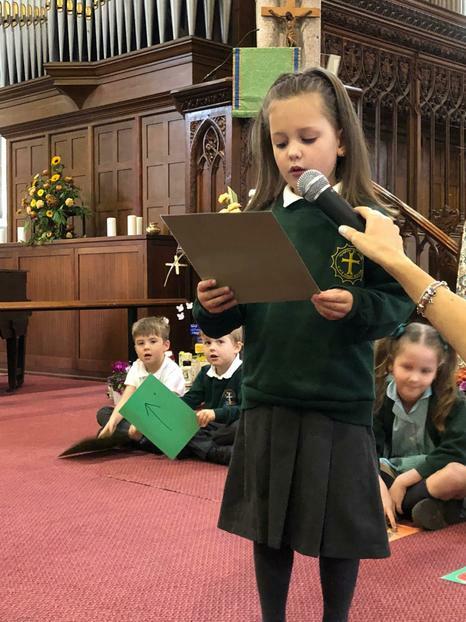 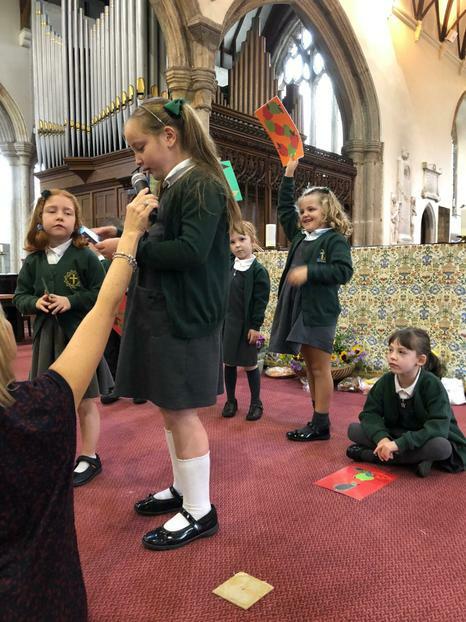 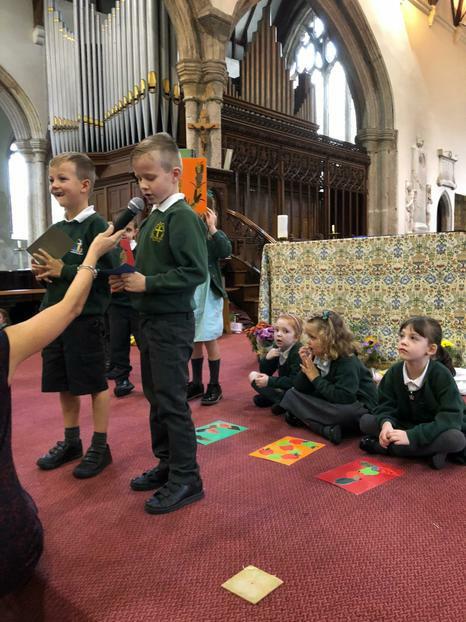 What made it even more special was that for the first time we remember, the Year 3 children from Old Priory also took part. 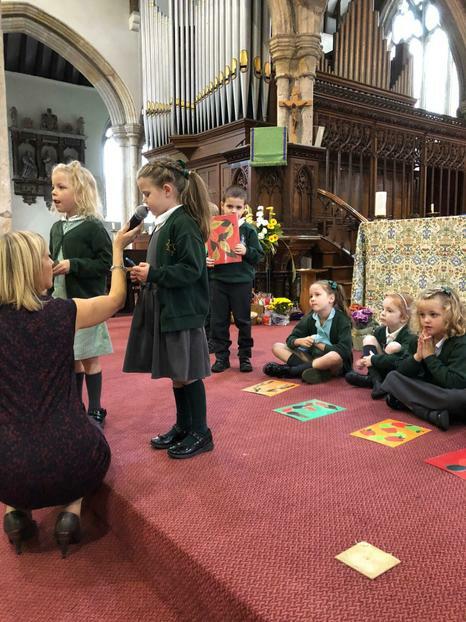 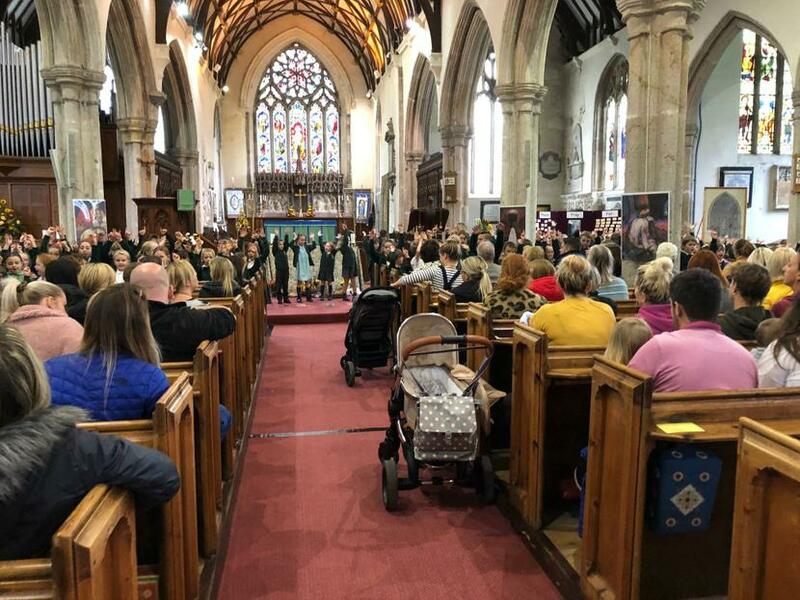 It was lovely to welcome the children back into St. Mary's church and find out how they were enjoying their new school. 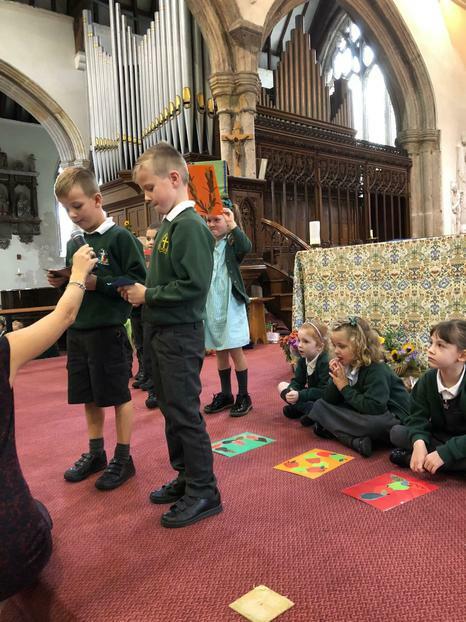 The team were also pleased to see how well this worked and we are looking forward to continuing to work collaboratively with our junior school. 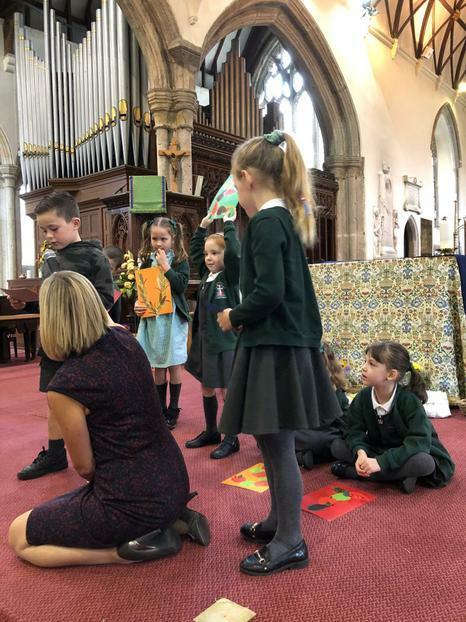 During the service the children performed poems, said prayers and sang and danced. 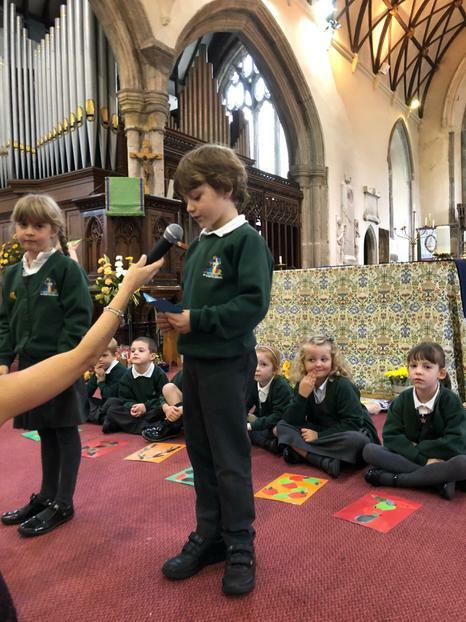 They offered a small selection of food to represent what we have been collecting at school. 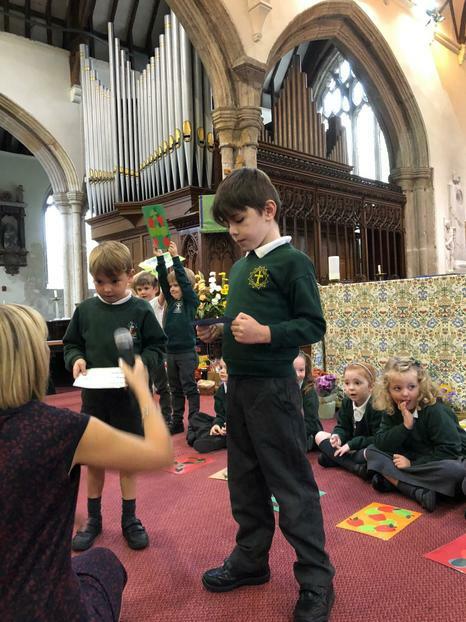 The Plymouth Foodbank came to collect the food later on in the week. 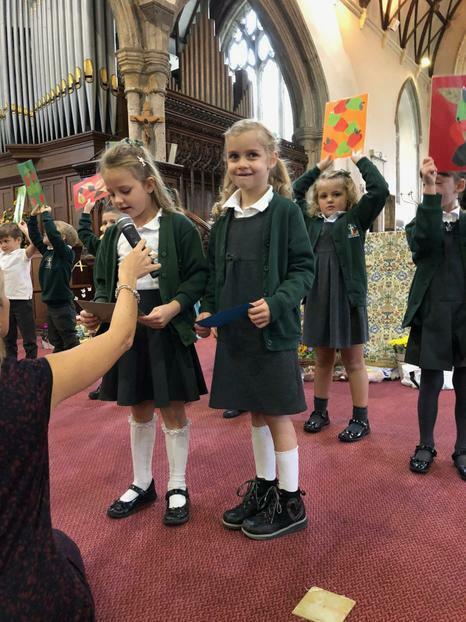 We would like to thank all of our families for their generosity.